Why not branch out this Christmas and go beyond the usual turkey. There are a host of alternative meats and vegetarian and vegan options. There are several joints of beef you can cook for Christmas dinner and you can't go wrong with rib of beef, sirloin, fillet or even beef Wellington. If you're cooking ahead, a pot roast beef brisket with vegetables thrown in is another option. Beef should always be cooked on the bone to conduct heat and add flavour. Some of the most popular recipes though, are bone-free and much easier to carve. The fat is the most important aspect - don't be tempted to trim it all off as it will baste the meat while cooking. If you are cooking for up to four people this festive season then roast chicken is a great option, with good quality birds at far lower prices than other meats. Go all out on flavour by adding stuffing under the skin - try chorizo, Marmite butter or crushed pistachios mixed with sausage meat. 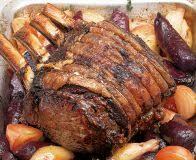 A key attraction of roast goose is the fat, which can be used for excellent roast potatoes. 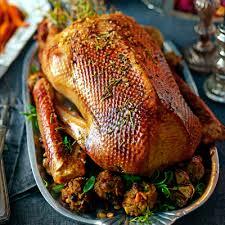 A large goose will feed fewer people than a turkey at the same weigh and is more expensive. Aim for 5kg to feed six people and 6kg for eight to ten. Leave uncovered in a cool place overnight to ensure crisp skin. Rich, juicy duck is a tempting option for dinner - but as with goose, it'll feed fewer people than you might expect. Most ducks will feed up to four people so if your're cooking for a larger group you may want to roast two at once. You can score or prick the skin to render the fat more easily. Don't forget to keep the fat for cooking with later. If you want to cook venison, look for lean meat with a deep colour and dense texture, keeping the meat succulent while cooking a loin or fillet can be difficult. Be careful not to overcook the meat. 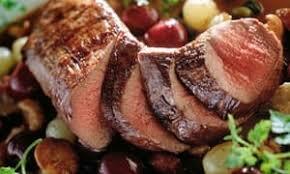 Alternatively, try making a venison Wellington or stuffing a venison saddle. While there are plenty of vegetarian and vegan options available for Christmas Day, the classic nut roast is an unbeatable choice that goes well with all manner of festive accompaniments. 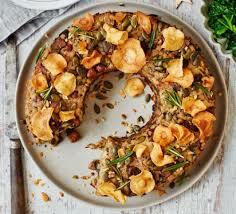 For an attractive centrepiece, shape the nut roast into a ring or wreath. If you're dishing up a veggie option for just one person, you could make a batch of nut and apple stuffing balls - they are essentially mini nut roasts.